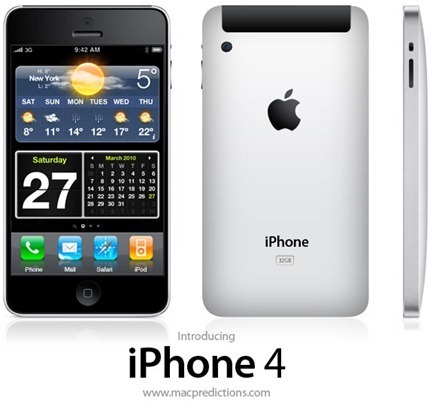 iPhone HD / 4 to be Released on June 22 at WWDC? While there is no official confirmation on this by Apple, rumor has it that the next-generation iPhone, along with iPhone OS 4 will be arriving on June 22. The annual WWDC conference at Mascone Center is going to be the venue where the launching ceremony will take place. The source of this information is a writer named Messany from ModMyi forums, stating: ”Although no confirmations have yet come from Apple (naturally), there is speculation that the big [next-gen iPhone] reveal could take place on June 22nd.”. Further, Messany reports that: "For what its worth, while no concrete evidence has turned up to suggest the announcement of a Verizon iPhone at the June 22nd event, a late-breaking tip from Flurry Analytics suggested the possible existence of a Verizon iPhone being used in the US in recent days.”. The camera is in the left of the speaker! hrmm the pic on the iPhone looks very much like the HTC touch Pro GUI with the iPhone task bar. anyone else notice that the rendering clearly used the ipad as its source? (note the volume rocker and toggle switch are on the right). I use photoshop/illustrator a lot… and that's just lazy. LOL.